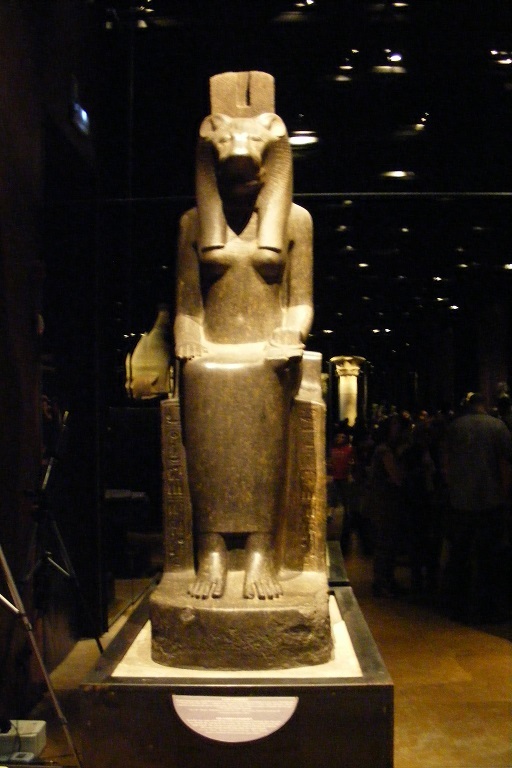 After breakfast we walked to the Egyptian Museum. 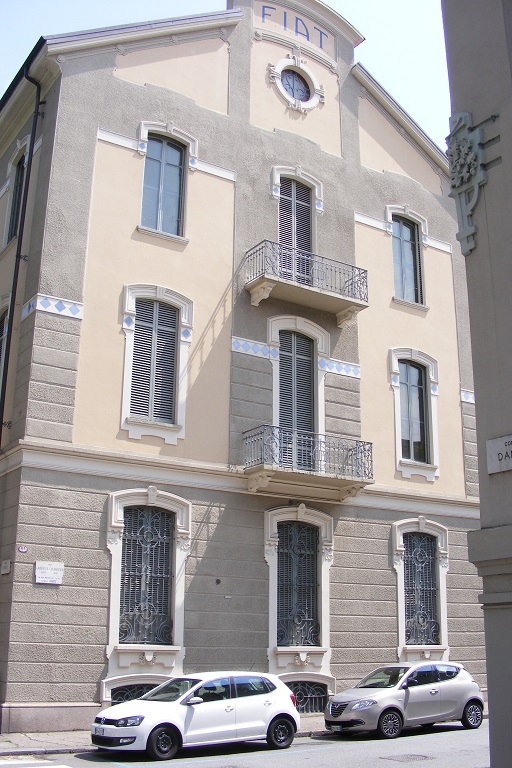 We had to search a little as there were few direction signs and the entrance was disguised by builders fences for the renovations that are being done. 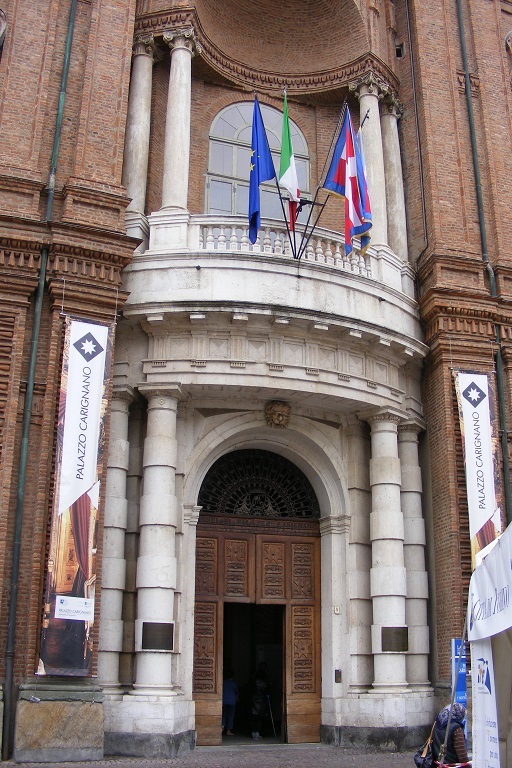 We had a good look around, although large guided tours did interfere somewhat. 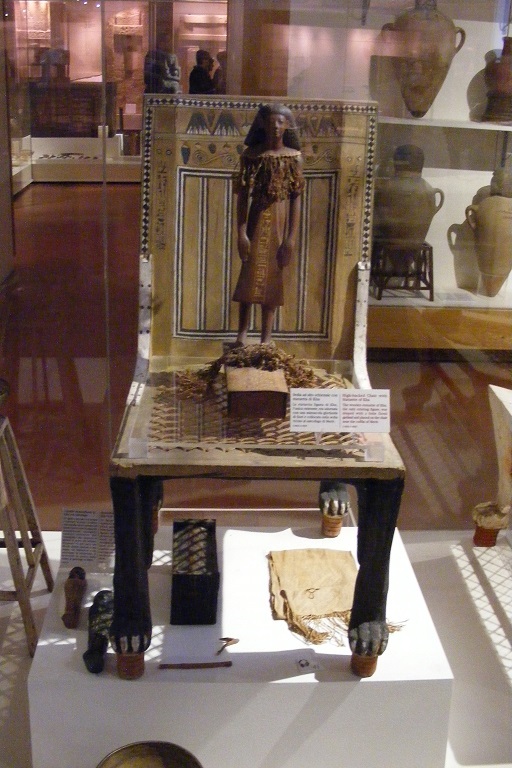 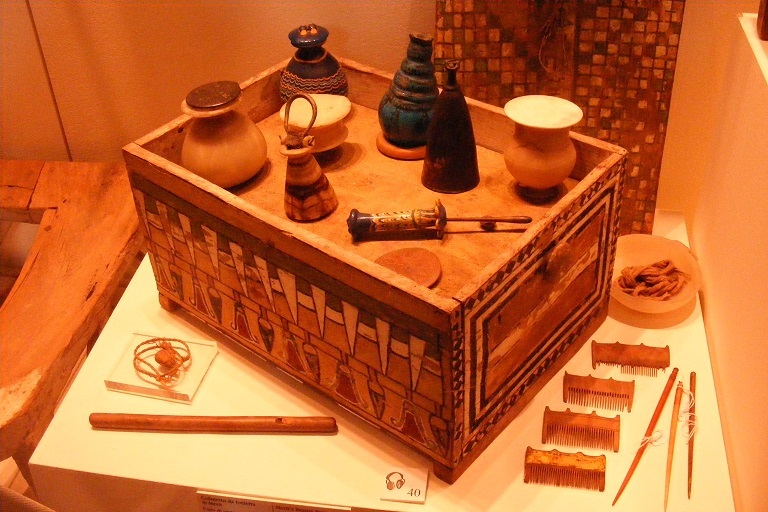 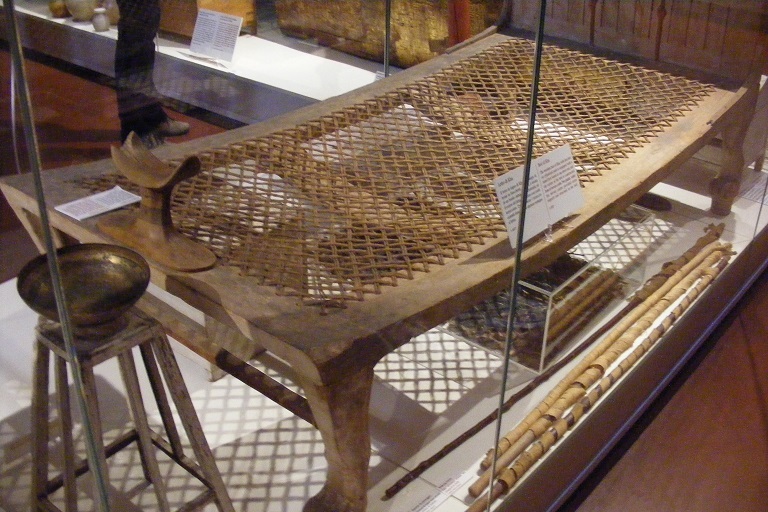 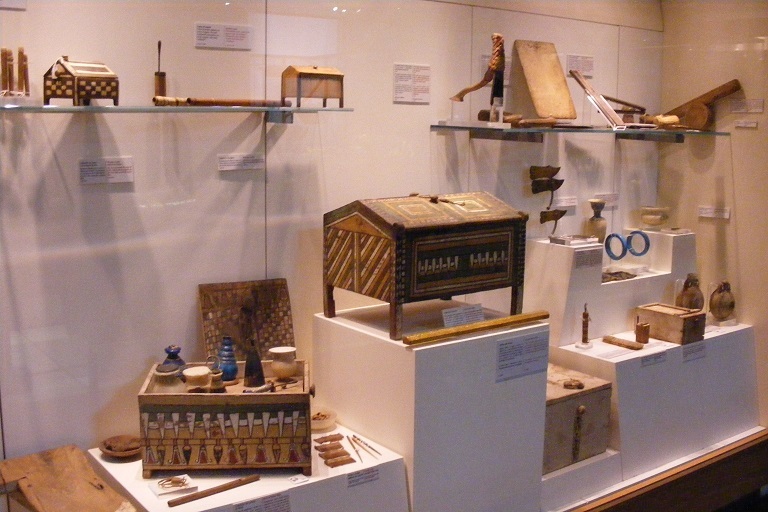 THere was a lot of very interesting artefacts covering all eras but the star of the museum was, without undoubt, the room containg the grave goods of Kha and his wife Merit. 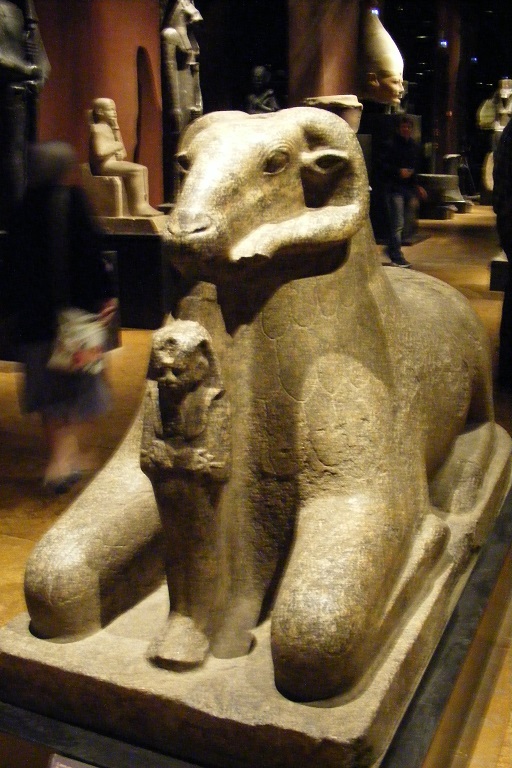 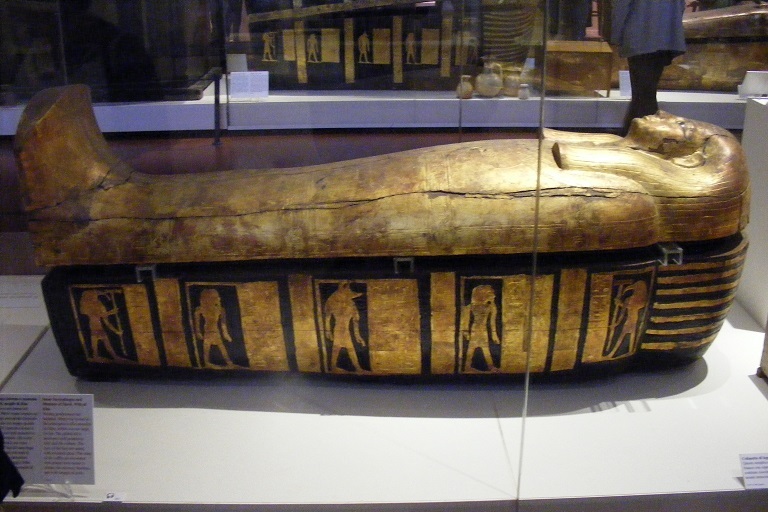 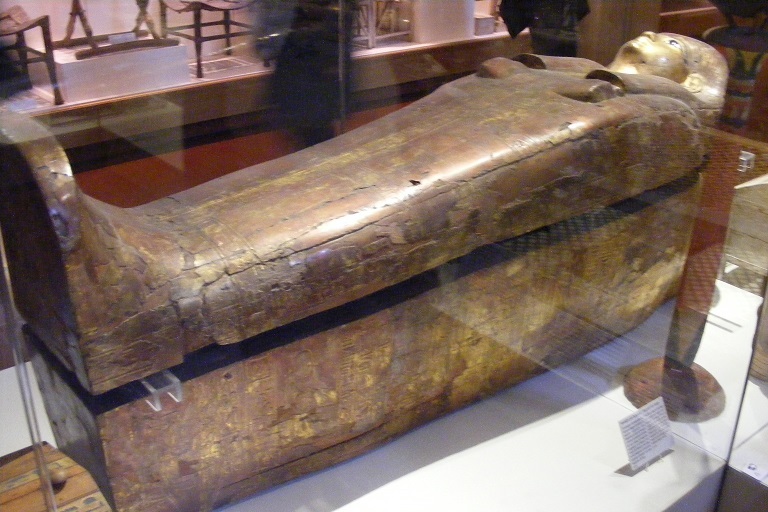 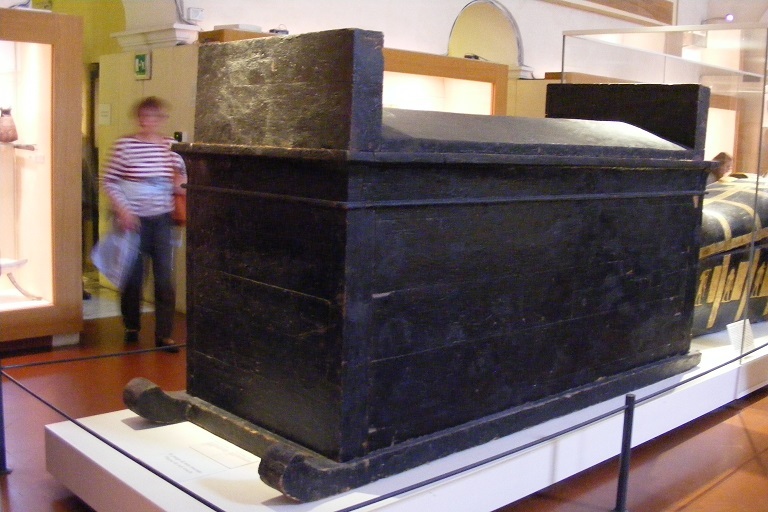 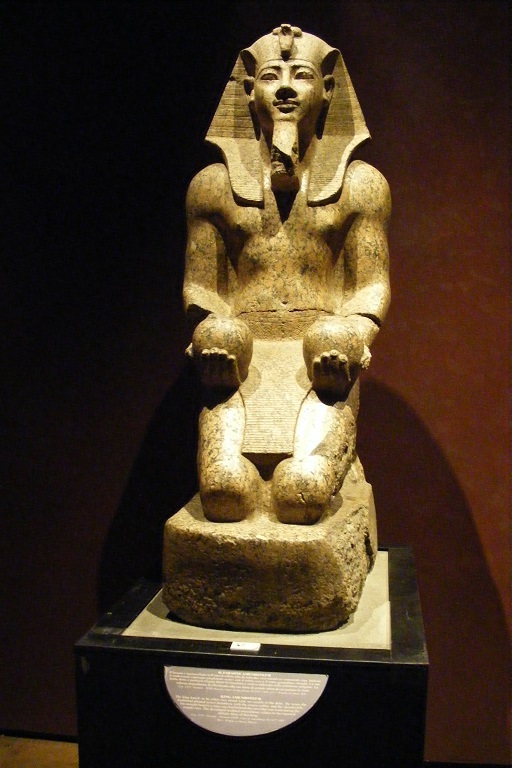 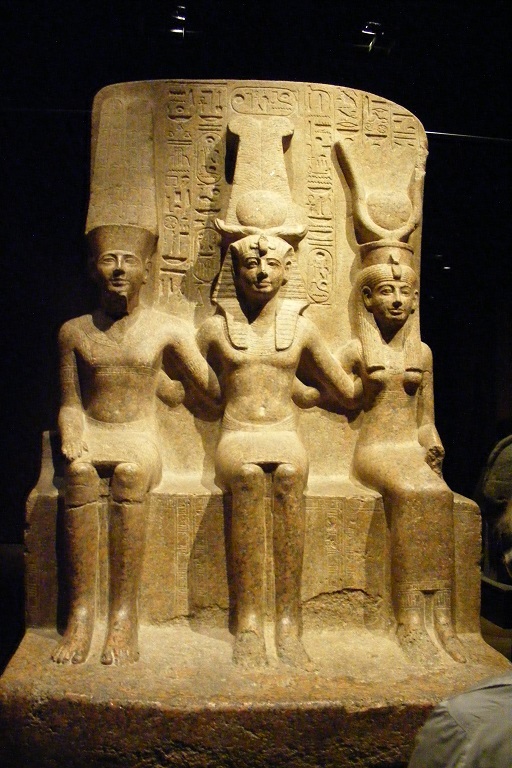 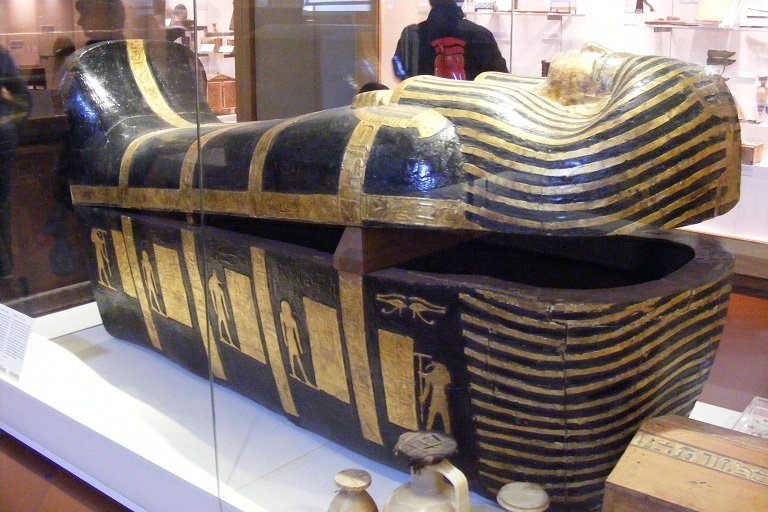 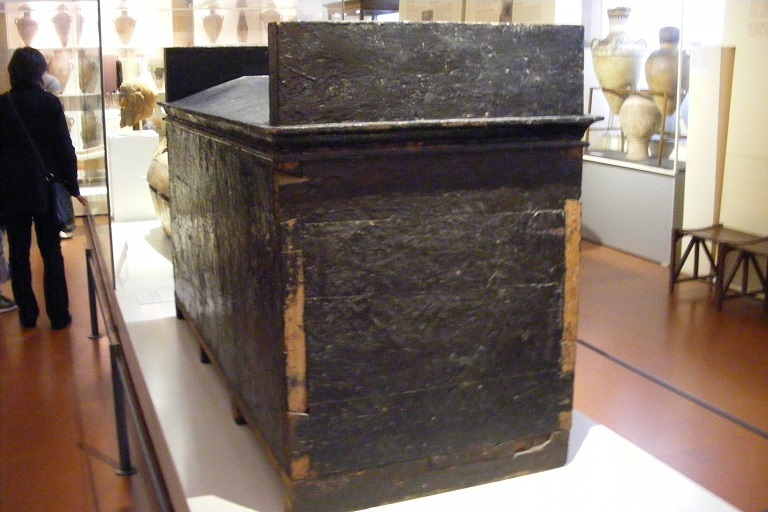 Merit's Inner and Outer sarcophagus. 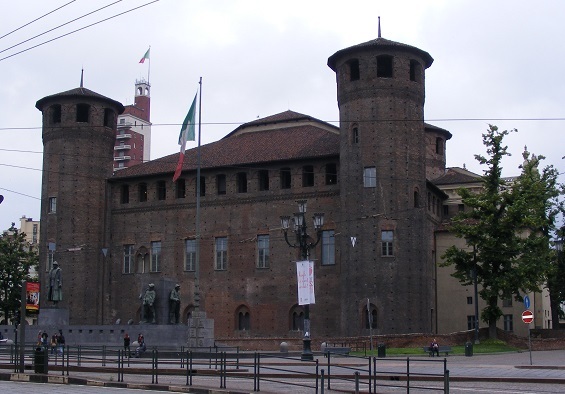 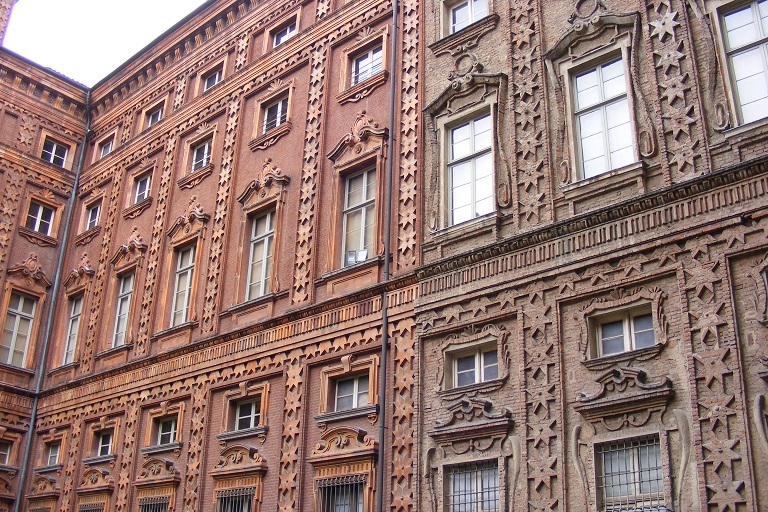 Palazzo Carignano was built of brick and then extended later by adding on wings to enclose a courtyard. 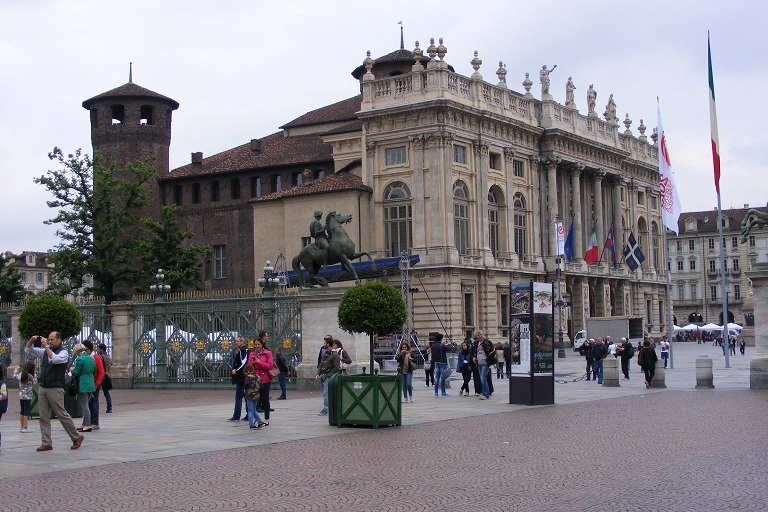 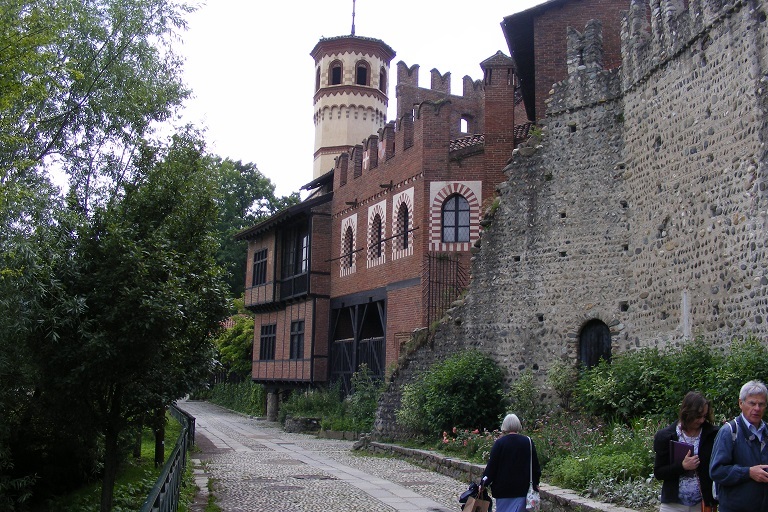 We continued to explore Turin on foot and ended up in some gardens by the river Po. 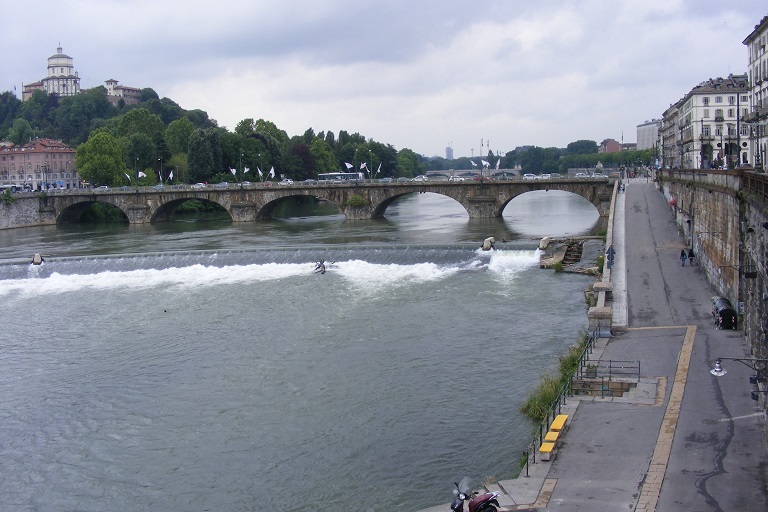 There were 2 rowing clubs in the gardens plus several cafes and a 19th century theme park built for an exhibition. 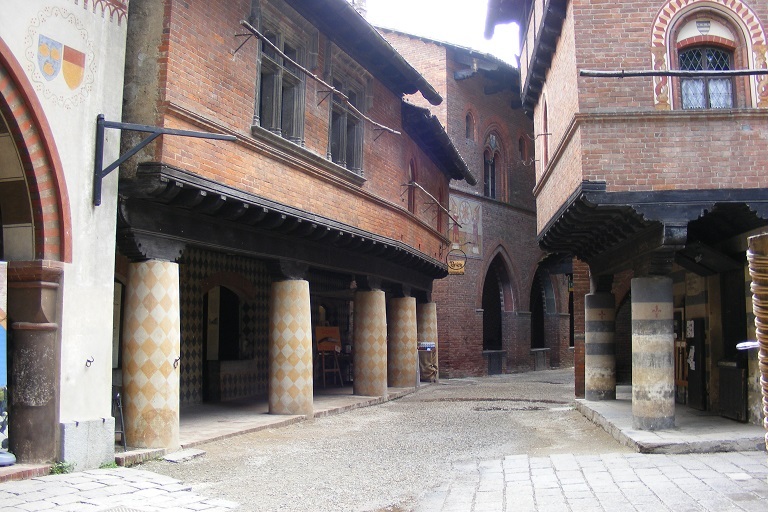 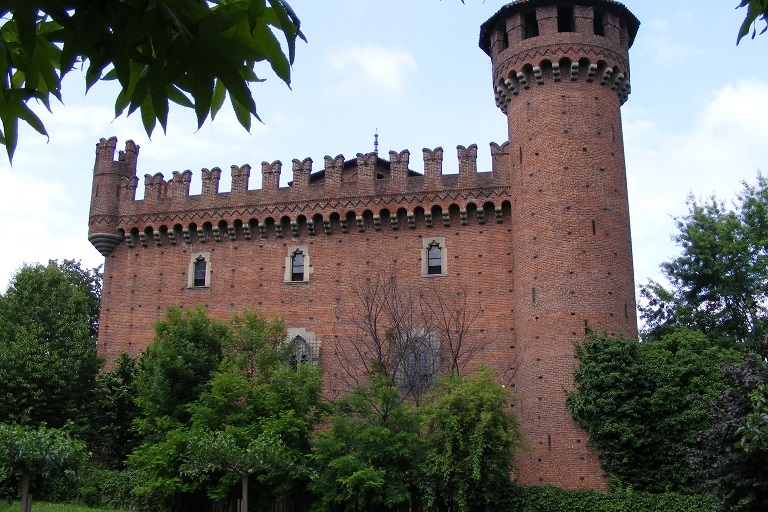 The Borgo and Rocca Medievale was built about 1870 and is still open as an attraction now. 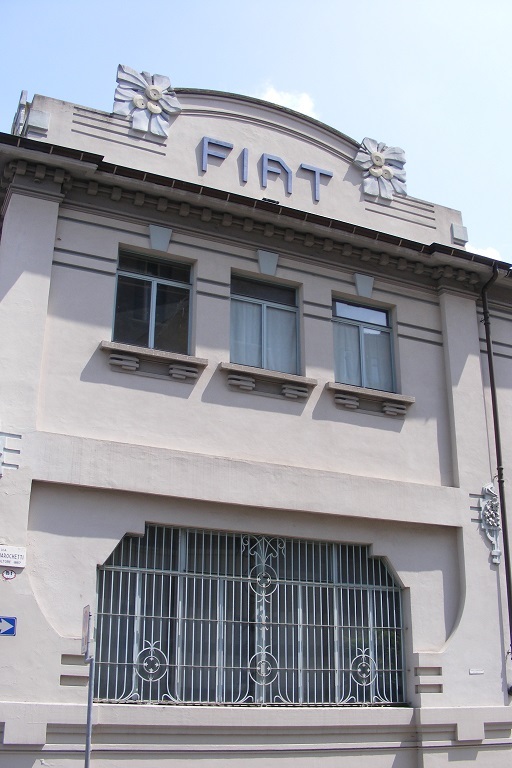 Later we came across a couple of buildings that were once Fiat motors in the early 20th Centre before the famous factory was built with test track on roof.